Co-working: the future for office space? Co-working is the term given to people sharing a workplace with others who do not work for the same organisation as them. It is different to the serviced office model, which usually features a standard office set-up of spaces with a lockable door and services provided for the office users. Flexibility: a user is often not restricted to a set term in the same way as a typical office lease. Immediacy: instead of spending time with solicitors negotiating the terms of a lease and then a contractor installing a tenant’s fit out, co-working users can walk straight into the premises and everything they need to begin working is already in place. Community: co-working spaces offer a built-in community that may especially appeal to freelancers or those in more solitary professions. Collaboration: some co-working providers promote a synergistic space where occupiers can benefit from the referrals of their fellow occupiers. It should be noted, however, that some providers prohibit occupiers from soliciting business from fellow users. Services: co-working spaces offer high speed internet, an IT team and technological services and support such as printing and scanning facilities. Cost: it may be cheaper than taking a traditional lease of premises. Of course, there may also be disadvantages to co-working. For example, for a freelancer who might otherwise be working from home, co-working is not free! Co-workers are usually not able to brand their premises in the same way as with a traditional office space, and they might be unsettled by distractions, interruptions and noise around them. Lastly, the flexibility enjoyed by a co-worker can work both ways: landlords may be able to terminate co-working agreements or reduce the amount of space a co-worker has taken if a better offer comes along. Companies providing co-working space include: WeWork; Avenue HQ; Huckletree; Regus; Hubble; Second Home; Work.Life; Mindspace; The Office Group; Workspace, and many more. As one might expect, co-working is popular in cities such as New York, San Francisco and Berlin. In London, key areas for co-working are Camden and Shoreditch, although spaces are being opened in perhaps more traditional office locations such as Chancery Lane. Co-working is also spreading to other UK cities such as Liverpool and Manchester. Interestingly, the largest market for co-working is Asia, where this more flexible form of office working has flourished for many years in China, India, Singapore, Vietnam and the Philippines due to the high demand and lower supply of space. Unsurprisingly, co-working is popular amongst those in creative and technological industries. However, more traditional industries are looking to co-working as a way to shake up their image. We understand KPMG has taken some co-working space, for example. It can be difficult for a landlord to value the covenant strength of a co-working start up. Often deposits and complex guarantee structures may be required. Landlords should also consider whether they wish to restrict assignment or underletting in a co-working company’s lease to other co-working companies. As always, it is crucial that it is made clear whether a co-working user has taken a lease or a licence of space. If as user is granted exclusive possession of a set of hot desks, for example, there is a risk that 1954 Act protection may be inadvertently given. The offer is also important: landlords need to be prepared to offer the high level service expected in order to be competitive. When taking co-working space, users will need to consider the type of space they require: hot desks, meeting rooms, or perhaps a mixture, with the option to upgrade or downsize in the future. They may also wish to consider questions such as whether they want to bring in their own IT, or rely on the provider’s IT systems and team. This is particularly important in relation to data security; depending on the nature of their business, certain users may find it inappropriate to use a system they do not control. Furthermore, for confidentiality reasons, users may not wish to occupy space that is not sound proofed, or use communal printers. Users should also look carefully at the additional charges they might incur, as providers may charge for printing, use of a wifi system, items in a coffee shop or for meeting room bookings. 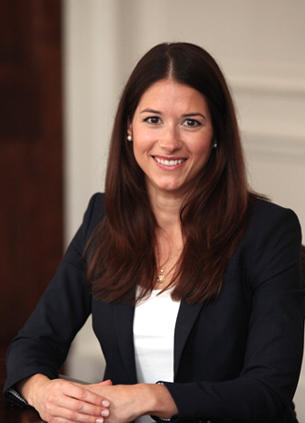 Mary-Anne is a senior associate in our Commercial Real Estate team.